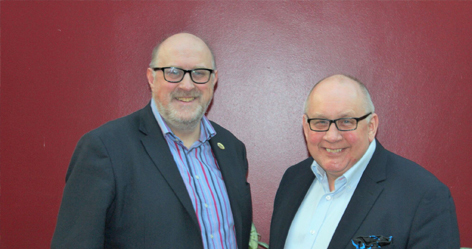 Graham Bassett and Mike Hurst were instrumental in ASIS UK becoming the first security membership organisation to provide mental health support as a service to members, through the PTSD Resolution network of 200 approved therapists. Members of ASIS UK who think that they may be suffering from the effects of a traumatic event, whatever the cause, can contact PTSD Resolution free of charge in order to access support, usually in a matter of days. Support is provided locally and requires no GP referral. The service is also extended to the families of members of ASIS UK – whether their trauma results from an accident at work or home for example. “Mental health support is essential for all those working in security who might be exposed to attack, alarm or general stress resulting from their work. Help must be prompt, local and effective - so the arrangement we have in place with ASIS is a major step forward for the security sector and all those that they protect in the UK and beyond,” says Tony Gauvain. PTSD Resolution also provides Trauma Awareness Training for Employers (TATE). These half-day courses enable line managers, HR and other staff to recognise the symptoms or trauma amongst staff and then to sign-post treatment. For further information visit www.ptsdresolution.org.